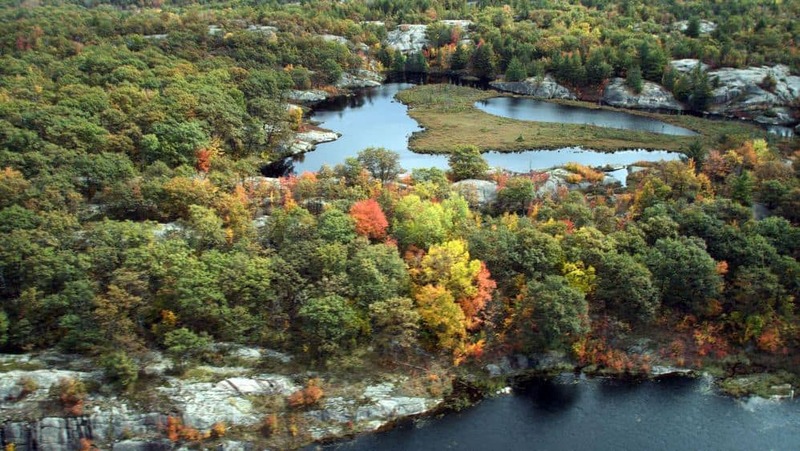 Stretching from Georgian Bay to Kingston, along the interface of the St. Lawrence Lowlands and the Canadian Shield, is a unique ecoregion, now known as The Land Between. It is home to loons, bears, moose, deer and more hummingbirds, at risk reptiles and habitat types than anywhere in the province. At the same time, however, this is a fragile place, which is facing multiple environmental, economic and social pressures. The first person in modern times to draw attention to this distinct region was probably Peter Alley. From his early childhood, he spent his summers at Muldrew Lake, just south of Gravenhurst. Alley sensed that this area where limestone meets granite had its own unique characteristics. He saw that this was not the Canadian Shield, nor was it the St. Lawrence Lowlands. For instance, he recognized that there are rock barrens here, but nowhere else. Alley wondered if there were other unique ecological features and functions, too. With remarkable dedication, Peter spent 10 years reaching out to individuals, governments and agencies to inspire participation in characterizing and mapping this landscape. His goal was to protect the significant natural features and ecosystem services for future generations. Key to this venture was persuading two land trusts, The Couchiching Conservancy, under Ron Reid, and the Kawartha Land Trust, headed by Ian Attridge, to become involved. The conservancies hired Leora Berman to move the venture forward. Berman brought a background in economics and environmental science to the project. This eventually led to the creation of nationally-registered charity, which shares the same name as the region itself – The Land Between (TLB). Berman, who is the organization’s CMO, broadened the scope of Alley’s vision to include culture and the social economy from a perspective known as “bioregionalism”. Bioregionalism is a holistic way of viewing a landscape, which encompasses and honours all the relationships that exist between and across sectors. It means mobilizing residents as opposed to simply focusing on mobilizing government. A bioregional approach understands that all aspects of a region- from the land to the people – are interdependent and interrelated. It also recognizes that nature informs culture, which in turn fosters the economy and eventually a strong sense of place in the people. The mandate of the TLB organization is to conserve the ecological, cultural, and socio-economic features of this unique bioregion. To this end, the organization undertakes projects that increase ecological health and community and cultural vitality. The projects are multi-partnered and have multiple benefits across as many sectors as possible. 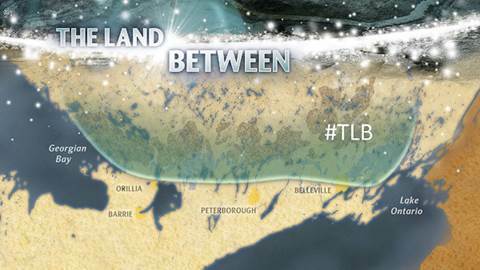 TLB is now recognized as a leading model for cooperation and stewardship in North America. The charity recognizes the value of ecological traditional knowledge and First Nations’ worldviews, and is the first organization to honour First Nation treaties. All of the work they do is in partnership with First Nations. This is achieved, in part, through a dedicated board position for a Curve Lake First Nations delegate. The TLB works entirely through the support of grants, donations, sponsorships and volunteers. Among its many accomplishments, the TLB now has planning recognition by Environment Canada for the Trent-Severn Waterway and by Hastings and Simcoe Counties. It has been involved in 42 pioneering research projects and forums. In partnership with TVO, the organization produced a three-part television documentary that has reached viewers across the province and can be seen free-of-charge online at TVO.org. TLB has also produced a free mobile app, which provides a virtual tour of the region and explores everything from its special species and spaces to First Nation worldviews. CMO Leora Berman makes dozens of public presentations each year to schools and other groups throughout the region. These presentations highlight the unique habitats, rare species, sacred spaces, history, and relationships that define the TLB landscape. The TLB chooses projects in seven action areas: fostering cooperative solutions, conserving biodiversity through landscape conservation priorities, sustaining water quality and fish habitats, supporting sustainable economic development, cultivating vibrant culture, enhancing education and engaging youth. Since 2006, the TLB has worked with partners to protect and conserve turtles and turtle habitats as a major biodiversity focus. The organization works to locate road mortality sites, install turtle crossing signs and support the construction and location of road underpasses. These allow turtles to safely travel to and from nesting sites. One such installation was built recently by the Haliburton Land Trust. It consists of a culvert and a drift fence to guide the turtles through the underpass. Volunteers monitor the site seven days a week through May and June. So far, there have been numerous confirmed observations of turtles and other wildlife using the culvert. TLB is also a founder and one of many partners involved the Turtle Guardians program, which is also dedicated to turtle conservation. The program’s focus area for workshops and events is The Land Between region, since it harbours the majority population of many of Ontario’s turtles. “Turtle Guardians” learn to identify, monitor and report turtle sightings and habitat features and then apply conservation and stewardship measures on their properties. To sign up as a Turtle Guardian, visit turtleguadians.com As part of its focus on education and youth, TLB is working with the Trillium Lakeland School Board to deliver state-of-the art learning tools for teachers and students. Engaging students is at the heart of the work done by TLB. 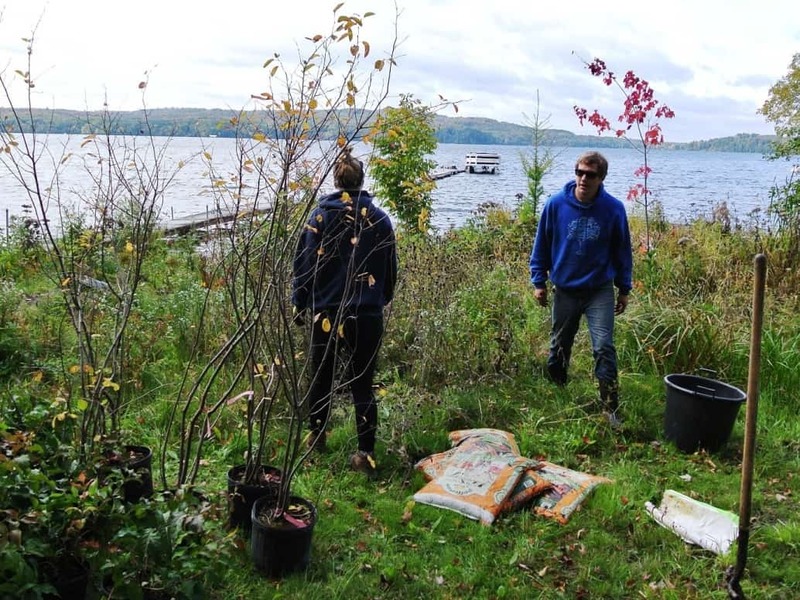 This spring and summer, TLB is holding three workshops to help cottagers and other landowners design a shoreline garden. Participants will learn which plants attract hummingbirds and insect pollinators, reduce erosion, provide fish habitat and deter geese. The first workshop will be held at the Buckhorn Community Centre on April 22. You can pre-order shoreline starter kits at thelandbetween.ca and pick them up at the workshop. Seating is limited.